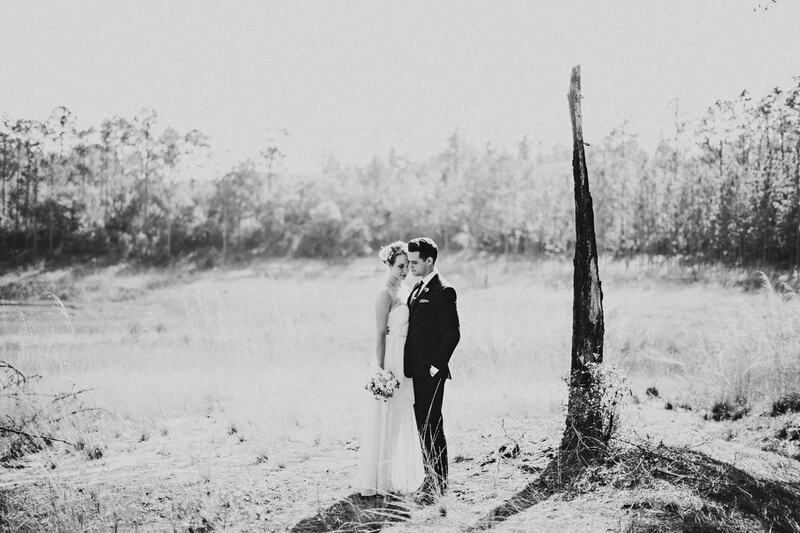 Bonnie and Patrick’s wedding was pure and simple, like most beautiful things tend to be. Their families and friends camped out under the Spanish moss at Gold Head Branch State Park and were up early to put together a memorable day. Seeing the bond between Bonnie and her sister, how sweet Patrick and her were together, the touching moments with their parents, the list could go on.. it was a special weekend. WOW! This is incredible work! You two honestly keep amazing me! I can’t wait for your next entry. Keep up the great work! Really lovely set you guys! Great colour and emotions and compositions. Lots of joy! beautiful stiff guys 🙂 See ya soon! I always have such a great time scrolling through your galleries! You guys are the best! Top of the game. You guys are brilliant! Wow guys. You’ve created some crazy good pixels here. Love everything about this. Dang guys, what the heck. This is crazy good. Loving your B&W’s .. punchy. Awesome. The first look and the portraits are phenomenal! Seriously this might just be wedding perfection. Just gorgeous.. everything! The details, the location, the mood, the bride’s cape. And the first look reaction, probably most awesome moment I’ve seen. I really love your black and white photographs. I really enjoyed the emotion in the photos of the bride getting ready. You did a great job! Good lord. This set is breathtaking! Pure perfection. Extraordinary work you two! And we love that Avett Brothers song (heck, that whole album). wow….so much epicness in one post. you guys rock! No wonder the groom reacted the way that he did… the bride is drop dead gorgeous! Amazing storytelling you guys. ALL completely beautiful, of course – but those portraits of the bride!? WOW. that first look is just so legit. such a genuine, awesome set of wedding photos. holy crap…this wedding looks amazing! I love the way you captured the details and tell the story so well. fantastic. I loooove the getting ready images – perfection. Amazing wedding set! Beautiful tones – ah! I die. These are amazing as always! Loved that you caught perfectly the grooms reaction on the first look, my favorite part! Oh man, the groom’s reaction during the First Look! And the rest of the wedding? Really beautiful work, friends. That groom reaction shot is the best. You guys nailed it on the portraits. I mean, you nailed it on everything like always, but the portraits were my favorites. And I’m kind of in super love with that dainty shawl the bride put on after the ceremony!